Hello everyone! It is Sentaroh. We changed opening of our shop scheduled for March 21 to March 30. 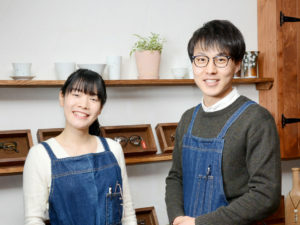 So I want to make a better our shop. Therefore, if I am preparing intensively for opening, time will soon pass. Last night, when I finished my job and looked at the watch, it was 11:00. When I finished and cleaned up the tools and went outdoors, the city was a fantastic landscape. 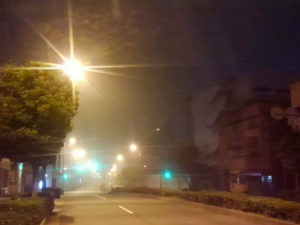 It seems that there was a fog alert in Osaka yesterday. The moisture in the air reflected the light from the outside lights and traffic lights, creating a fantastic landscape. I was happy because I had never seen such scenery in Osaka.